The Fiamma Bi-Pot is the simplest yet strongest, self-contained portable chemical toilet available and is suitable for all brands of caravan and motorhome. 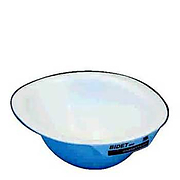 The fresh water and waste holding tanks are manufactured using extremely sturdy and scratch-resistant plastic. 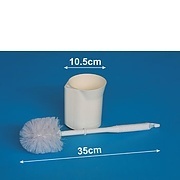 The large caps of the Fiamma Bi-Pot make it very easy and hygienic to clean and use without clogging. The fiamma Bi-Pot has a sturdy and solid handle for easy transportation and secure side clips connect the lower and upper tanks. Convenient flush of fresh water, without separating the tanks. Super-strong, the Fiamma Bi-Pot supports twice as much weight as other brands because the tanks are not welded. Strong Fiamma portable toilet, available in 3 models of different dimensions. The Fiamma Bi-Pot 30 Portable Toilet + Spare Parts is easy to transport and to empty. Compact, it can be completely dismantled, including the valve, for thorough and total cleaning. sturdy and solid handle for easy transportation. 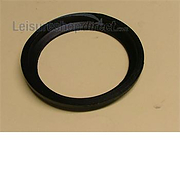 Large waste cap: no drainpipe, emptying is easy and hygenic, no clogging. For a bigger capacity toilet choose the Fiamma Bi-Pot 39 Portable Toilet, Each tank is electronically tested for a perfect seal. Handy side clips to connect the upper and lower tanks. The optional Fiamma Bi-Pot Universal Bidet adapts to all Fiamma Bi-Pot toilets together with Thetford Casette 1, 2, 3, and 4 toilets. 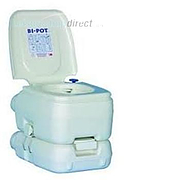 Fiamma Bi-Pot 30 Portable Toilet + Spare Parts. Please click through to next page to see schematic diagram. 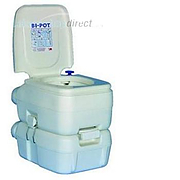 Fiamma Bi-Pot 34 Portable Toilet + Spare Parts. 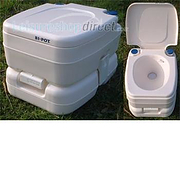 Bi-Pot is a simple, strong self-contained fresh water flush portable toilet. Please click through to next page to see schematic diagram. Fiamma Bi-Pot 39 Portable Toilet, The new improved strong Fiamma portable toilet. Please click through to next page to see schematic diagram. Fiamma Bi-Pot 1520- 1513 Portable Toilet Spare Parts. Please click through to next page to see schematic diagram. Universal bidet for all Bi-Pot types. 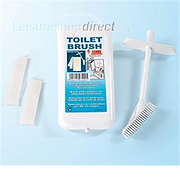 Also adapts to Thetford Porta Potti Cassette 1, 2, 3 and 4. Fiamma Bidet 200. Suitable for swivelling Thetford Cassette 200. The Fiamma range of Bi-Pots are the simplest, and strongest self-contained fresh water flush portable toilet. A very simple system that is both strong and easy to clean. Available in the new colour of Pearl. These new Bi Pots now have the Anti Bacterial seat on all models.